The 19th Voronezh International Chess Festival 2015 will be held from 10-20th June at the Voronezh Chess Club, in Voronezh, Russian Federation. 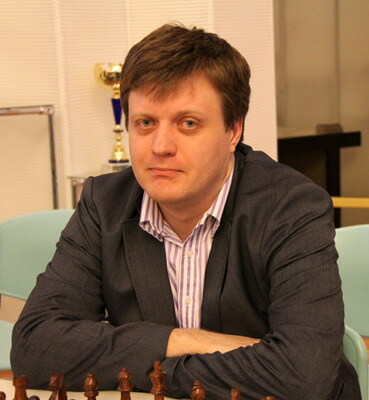 A well-known Russian GM Dmitry Bocharov is coming to Voronezh again, but not for the first time. This year, however, he comes as Russia’s champion in both team and blitz tournaments, winning the latter with 1.5 points to spare. He has also been successful in Voronezh, for example, last year not only did he win the local tournament but he got 10.5 points out of 11. Questions were asked by Elena Ponomareva. Interview was translated into English by Svetlana Lisik. EP: Firstly, I would like to know, what does the Voronezh Festival mean to you? As far as I know, you have taken part in it various times. Could you share your impressions of it with us? DB: Voronezh Festival has been on my annual calendar for the last 10 years. The few that I missed were for serious reasons. In general, I really like it here. It is a nice place with understanding organizers and an interesting schedule. I am always confident that next year it is going to be even better. EP: What are your goals for this year’s Alekhine Memorial? DB: I would really like to reach the top-3, as for now my results here do not mirror the good impressions I have of this place. EP: Dmitry, it seems that you are particularly good at blitz tournaments. Just a week ago, you won the Russian blitz tournament in Saint-Petersburg as well as the one in Voronezh last year. Would you consider blitz your speciality? What is the secret of your success? DB: It is difficult to specialize in it, as there are quite few tournaments in blitz. That is why there is not really any secret as well as any success for me, I would say. Just those two days in Saint-Petersburg were lucky. EP: In the beginning of May you achieved one more thing- you won the Russian team tournament. Your team representing the Novosibirsk region was very strong. What was it like to play in such a team and how would you evaluate your performance? DB: I can say that playing together with Kramnik and Aronyan is exciting from both professional and personal points of view. I had a chance to evaluate my performance and I hope it will help me improve. Anyway, my main goal was to not ruin the team’s overall performance which I think I achieved. EP: On the website of the Russian Chess Federation it is said that you only started playing chess at the age of 14. And in one interview you said your parents took you to the chess school. So when did you finally realize that chess was for you? DB: I was actually 12 and all that my parents did was hint that I might find chess interesting. Back then, I didn’t really think about whether it was for me or not. I still just enjoy playing and socializing with people who do as well. So as long as this is the case, then – chess is for me. EP: More and more young people start playing chess and become GMs in their younger years. Do you think there is any age limit for a person to become successful in chess? And if so, does it mean that once a player reaches this certain age, he can’t really hope for a major success? DB: Since there’s so much unknown about the human brain we can’t yet possibly know what the limits can be. As for the fact that the number of young players is increasing, this is down to the fact that human concentration and memory capabilities are improving. And it seems to be of a greater importance than experience. EP: Dmitry, you represent the Novosibirsk Chess Federation. What is the attitude to chess in your region? DB: Our region has rich chess traditions but recently it has quietened down. This year we faced a big change though – Pavel Maletin became the Federation’s President. He’s a young and energetic GM who also understands the inner problems of chess. You can already see the result – the Novosibirsk team won the Russian tournament. He will happily tell you about it himself as he is also participating in the Voronezh Festival. EP: You said in one of your interviews that you have no other hobbies than chess, as it is both your hobby and dream job. Haven’t you ever gotten tired of playing? DB: In terms of a hobby I haven’t. However, as a job it can be tiring at times. But then I ask myself: which other job can be better? And I carry on playing. EP: You also said that chess for you is a job. What does this entail? Do you play or also train others? Have you got any students? DB: For now the majority of what I do is playing. EP: Chess is quite a particular kind of sport which involves a lot of intellectual challenges as well as endurance. How do you keep on top of this? DB: Endurance is a very important factor in modern chess. I used to not think about how physically fit I should be but now I have to consider this more often to stay at a good level. Generally, I’m quite old-fashioned so I’m used to thinking that chess only involves the mind and the body itself doesn’t matter. EP: There’s an elite of leading chess players which is very hard to enter. Those who are lower in the rankings realise that. Nevertheless, every sportsman always tries to improve and achieve better results. What is your current goal? DB: I definitely want to generally improve but the main goal for now is to perform well in the Alekhine Memorial. EP: Dmitry, you also stated that you only take part in Russian tournaments. What is the reason for this? DB: I guess, it’s because I live in Russia so for me it’s simply more convenient. EP: Don’t you want to give the international level a go? DB: What do you mean by “international level”? If you mean the World Championship than yes, you do have to compete globally. But as for the serious international GM tournaments, that’s what you see in Voronezh and I don’t see much sense in going to Spain or Switzerland for the same thing. EP: Going back to Voronezh Festival, how would you evaluate your upcoming rivals? Who do think is this year’s favourite? DB: Among the main contenders will be the winners of the previous tournaments who, as far as I know, are seeded first at the Voronezh tournament: Dmitry Kokarev and Pavel Ponkratov. But in general any top-10 player can challenge the top spot and it wouldn’t be a shock.